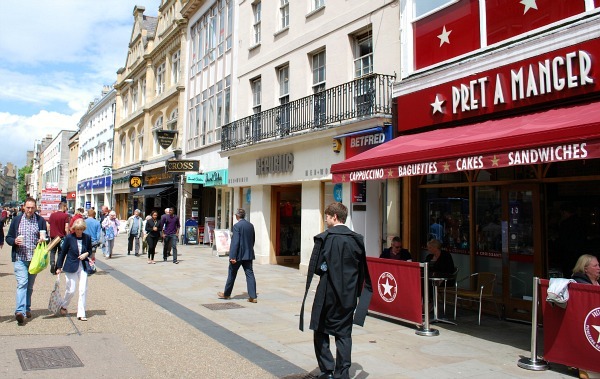 Oxford has several busy shopping streets along with the huge Westgate shopping centre near the Castle. 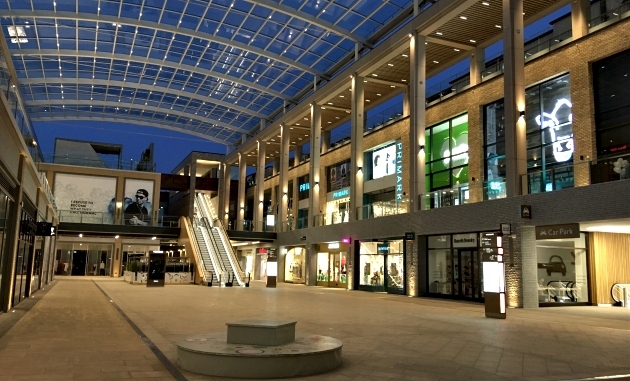 This centre was redeveloped recently and has many restaurants and shops. Make sure you catch the lift to the very top of the centre where you can dine with views of the spires of Oxford. Elsewhere in Oxford there is another modern arcade which links the two main streets. As you’d expect from a city of its size it has the main chain stores, but there are also a number of independent stores too. Blackwell’s book shop on Broad Street is very well known and is worth a visit if you love books, or just fancy a drink in the coffee shop. 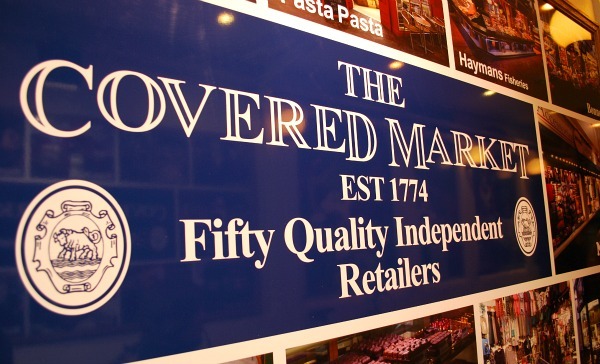 We’d also recommend a visit to the Covered Market where all the stalls are independent retailers. The main shopping streets in Oxford are Cornmarket Street, Queen Street (pictured below), High Street, Bonn Square, Broad Street and George Street. 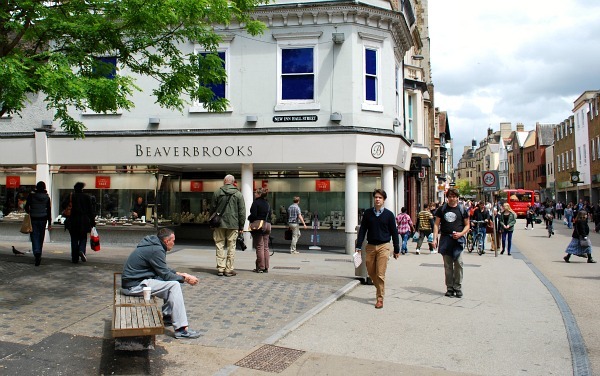 Each has a mix of shops, but the biggest chains are located on Cornmarket Street and Queen Street. High Street has a mix of well known shops and several university colleges and administration buildings. The university exam centre is on this street for instance along with the library for Lincoln College which is based in an old church. George Street is more based around nightlife than shopping with restaurants and bars galore. See our special page about the Oxford Covered Market for more on the retailers inside.